Below I’ve listed majority of the other Racing offers around. We now have a ‘Racing Refund Offers’ betting guide under the ‘Getting Started’ tab at the top of the site to have a read of. This should explain how to use all of these offers if you aren’t already familiar with extracting some value from them. UBET are refunding your bets up to $50 as cash on Randwick Races 1-3 if your horse runs 2nd or 3rd. 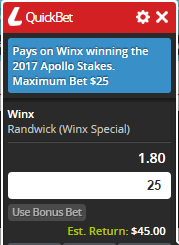 William Hill are refunding your bets up to $50 as a free bet on Randwick Races 1-4 if your horse runs 2nd or 3rd. Betting.club are refunding your bets up to $50 as a free bet on Randwick Races 1-4 if your horse runs 2nd. 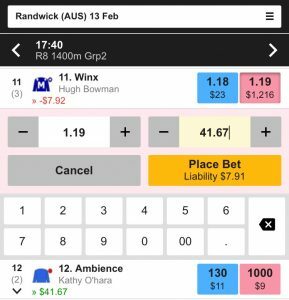 Crownbet are refunding your FIXED ODDS bets as a free bet up to $50 (5,00 rewards points) on Randwick Races 5-7 if your horse runs 2nd. Will Hill Grafton R4 first half field $50 BB refund. RE: TAB promo. Here’s the T&Cs so I don’t know if it’s the first bet on each race or simply the first bet. Any thoughts? TAB Account bets only. Excludes NSW, SA and WA residents. First single TAB account bet on any of the Country & Provincial Championships qualifying races with a minimum field of at least 4 horses (no multi, bonus or live bets qualify). The valid race meetings are as follows; Country Championships qualifying races (Grafton 13 February, Goulburn 18 February, Dubbo 19 February, Taree 26 February, Scone 5 March, Wellington 12 March, Albury 19 March, Muswellbrook 26 March), and Provincial Championships qualifying races (Wyong 23 February, Hawkesbury 2 March, Gosford 15 March, Kembla Grange 23 March, Newcastle 29 March). Cash back equal to stake up to $50 will be credited within 1 business day. Actually I think the TAB promo is for race 6 as well as opposed to every race on the card today. Whoops.